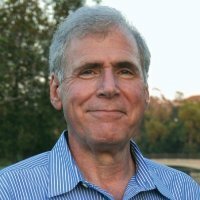 Advisory Board - Arnold Karpel - Executive Leader Coach @ dbkAssociates, Inc. : Executive Leader Coach @ dbkAssociates, Inc.
(5/15/2002- Dana Point, CA) Arnold Karpel has been associated with dbkAssociates, Inc. since its inception. He served as president and a principle consultant from 2002 through 2008 when he took a full time position with a local manufacturing company. Arnold now serves on our advisory board. He is a senior level manager with experience in sales and marketing management as well as executive management positions. Arnold’s career has touched all aspects of business development, having increased sales in all aspects of the sales process. Specialties:sales and sales management, hiring, training and retention of top performers, project management for ISO9000, process improvements leading to increased sales. Now retired, Arnold is giving back to the community through mentoring entrepreneurs. He is also working with his dog in the PAWS program as well as exploring the world of digital photography.